A woman of exceptional will and strength even in the face of a challenge, Dawn Marie Nelson leaves behind a remarkable life. Her energy and ability to give completely will serve as an admirable example to all who loved her. She was a loving wife, a caring mother, and a cherished friend. Dawn will be missed dearly in this lifetime. Dawn began her life in a year when the average annual income was just under $12,000, and the World Trade Center in New York City became the tallest building in the world. The year of 1972 was quick to make its mark in future history books. The United States pulled troops out of Vietnam signaling times of peace, but President Nixon faced great scrutiny due to the Watergate scandal. All this, while families turned up the volume on their living room stereos to enjoy Stevie Wonder and Abba. Proud parents, James and Sharon (Koning) Terrell, welcomed their sweet baby girl in Kalamazoo, Michigan on October 3, 1972. Her two big brothers, Mark and Troy, were ready to show their little sister what life was all about. Being that she was the youngest and the only girl, she had it pretty good. She spent her childhood days in Comstock combining the tomboy tendencies she learned from her big brothers with her zeal for the pink and pizazz of being a girl. She was not afraid to give it right back to her brothers even if she was wearing ruffles and nail polish. When she was not playing with her brothers and other friends, she would spend time caring for the family's cats, for they were great childhood companions too. As she matured a little more, she became a Brownie and learned how to be kind and compassionate to others (a trait she already possessed, but this opportunity refined it even more). Soon, she became a full-fledged teenager entering the halls of high school and all that comes with that experience. She released her boundless energies and stresses as a runner, competing in both cross country and track. Her friends could always count on her fun-loving and crazy antics for entertainment. She proved to be a terrific friend because her appreciation for adventure and the simple love of life was contagious. She graduated from Comstock High School with the class of 1990 with many accolades and impressive achievements. She was in the top 10% of her class, for she was very bright and responsible - she never had to be told to study because she was already very motivated. This same motivation was found outside of school and extracurriculars, as she held several part-time jobs (usually more than one) while she still capably tended to her studies.  After graduation, Dawn began searching for what life had in store for her. She intended to continue her education straight away, but soon life presented the gift of a different kind of opportunity - one of the sweetest kinds. Dawn celebrated the gift of motherhood in 1992 when she welcomed her precious daughter, Devyn, into the world. In time, with feelings of love in her heart, she also married Doug. Before too long, it became clear that Dawn and Doug needed a change, so a divorce was granted, and a new kind of adventure in life began. As a single mother, Dawn worked tirelessly to provide for her only daughter. She worked simultaneously while going to Western Michigan University to earn a Bachelor degree in Social Psychology and Accounting. She proved to be an amazing mother for her ability to achieve so much and raise a strong and independent daughter. After Dawn gained confident control of life, her heart was open to the idea of love once again. Through some mutual friends, she was introduced to Jo Nelson. They dated for a few years, and then they decided to make their commitment more formal. They celebrated their marriage on November 11, 2000, in Colon at New Assembly of God. The happy couple flew to Cancun, Mexico for their honeymoon. 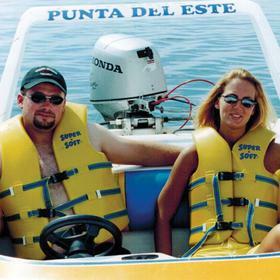 The newlyweds had many exciting plans ahead of them, and one was purchasing a home in Paw Paw together in 2001. Dawn had the best of everything - a loving husband and an amazing daughter. She and Devyn always looked forward to planning their next trip. Spring Break was always a good time with a highly anticipated destination - typically Florida. Spring Break was not her only travel time, however, because she loved to travel and was always up for more! Dawn continued to work at Western Michigan University after she graduated and through to most recently. She worked as a Restricted Fund Accountant Senior. Always on the move, Dawn had many other interests that kept her busy. She liked the wind in her hair while riding her Kawasaki motorcycle with Jo and their friends. 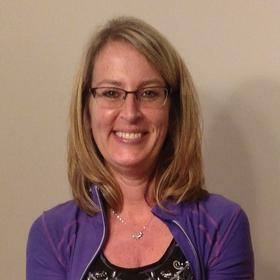 She also kept her youthful passion for running as an adult competing in many 5k's, 10k's, and even a half marathon race. Dawn and Jo purchased a place in Baldwin which also gave them plenty to remodel and make their own. She looked forward to spending her retirement with Jo there. This place gave them the chance to reconnect with long walks and bicycle rides together. She also loved the possibilities of winning big with their trips to the casino to play the slot machines. When Dawn stayed closer to home, she had many joys in life. Some of her favorite holidays included St. Patrick's Day, Cinco Di Mayo, and Halloween. She never missed the chance to dress up for the occasion either - sporting everything green or silly and fun costumes. Dawn was a great shopping companion because she was always able to scout out the good deals, for she hated paying full price for anything. 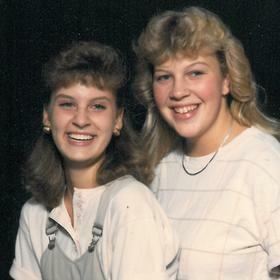 Locally, she enjoyed going to the county fairs, and one of her favorite years included seeing Motley Crue and Kiss in Allegan. She loved a variety of music from 90's rock to alternative. Dawn liked being out and about, and she always had a place to go. 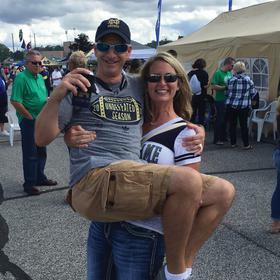 She looked forward to tailgating with friends, especially for the ND football games. She enjoyed microbrews and Mexican beer as well as any beer tour she could attend. 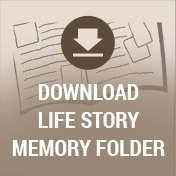 If staying home sounded more appealing, Dawn also found relaxation and comfort there. She was happy eating a Mexican dinner while watching reruns of M*A*S*H or Harry Potter movies. All of this was with the purring of her cat, 'Quimby' (and many beloved others throughout the years) and the snuggles of her dog, 'Nickel.' If she desired the company of friends, she was never shy about hosting a party and inviting them over - this was when she radiated with happiness. In her 44 years of life, Dawn lived each day with determination and fortitude. Diagnosed with Breast Cancer a year ago, Dawn bravely faced the challenges. Sadly, she passed away on September 21, 2017, in her home surrounded by the spirit and love of her family. We will hold the memories of her smile and laughter close to our hearts. With the gentle brush of each breeze and each toast we make in her honor, she will never be forgotten in our lives. 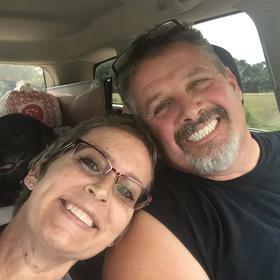 Surviving are her husband of 17 years, Jo Nelson, daughter; Devyn Vincent (fiancée David Capman); parents, Jim and Sharon Terrell; 2 brothers: Mark (Ericka) Terrell and Troy Terrell; cousins, nieces and nephews; many friends including Marie (Ken) Slater and Shannon (Mark) Zabaldo. Cremation will take place. Visit with family and friends on Sunday from 3-6pm at Betzler & Thompson Life Story Funeral Home, 60900 M 40, Paw Paw (269) 657-3870 where services will be held Monday 11 am. Burial will take place at Harwick Cemetery. A reception will follow the burial back at the funeral home.